You might find yourself in some pretty entertaining situations when you wear this I Love Lucy Costume. 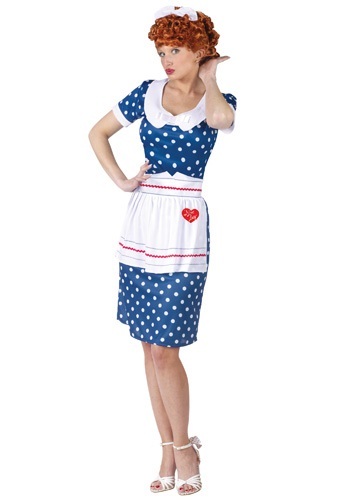 This costume which comes with the polka dot dress, apron with logo, and hair bow will turn you into the iconic 50's comedienne, all you need to do is pick up the classic red wig! What kind of mess did Lucy get herself into now? Is she wearing a white beard so that Ricky will shave his mustache or is she trying to play the saxophone so she can try out for Ricky's band? There is never a dull moment when you are married to Lucille Ball, but Mr. Ricardo always manages to look great. 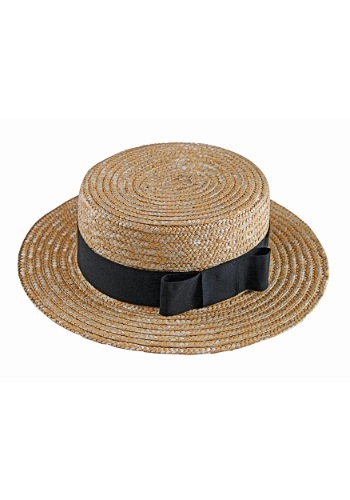 Look like the dapper Desi Arnaz when you wear this I Love Lucy Ricky Straw Hat and Bow Tie. In the words of Lucille Ball, "Once in his life, every man is entitled to fall madly in love with a gorgeous redhead." Be the red head of his dreams in this I Love Lucy Wig. You may not be as funny as her but you can be as good looking. 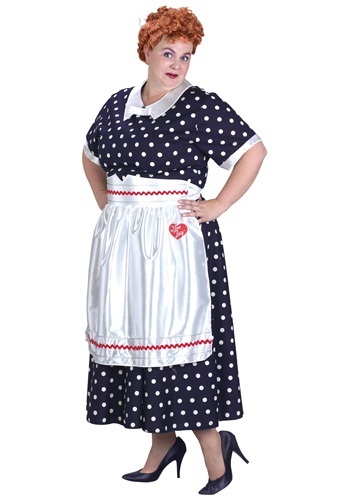 Join the cast of a popular 1950s show when you wear this Plus Size I Love Lucy Costume. This costume will turn you into the hysterical 50's housewife played by Lucille Ball and is sure to get nearly as many laughs as she did! Oh honey, look who's home! It's Lucy! 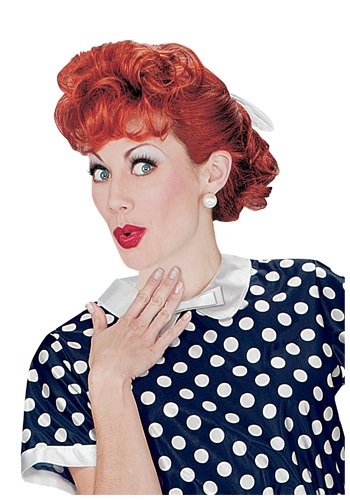 Now you can become the chaotic housewife who has a way with creating mischief when you wear this complete Sassy I Love Lucy Costume. This costume even comes with a red wig so you can become Lucy from head to toe!